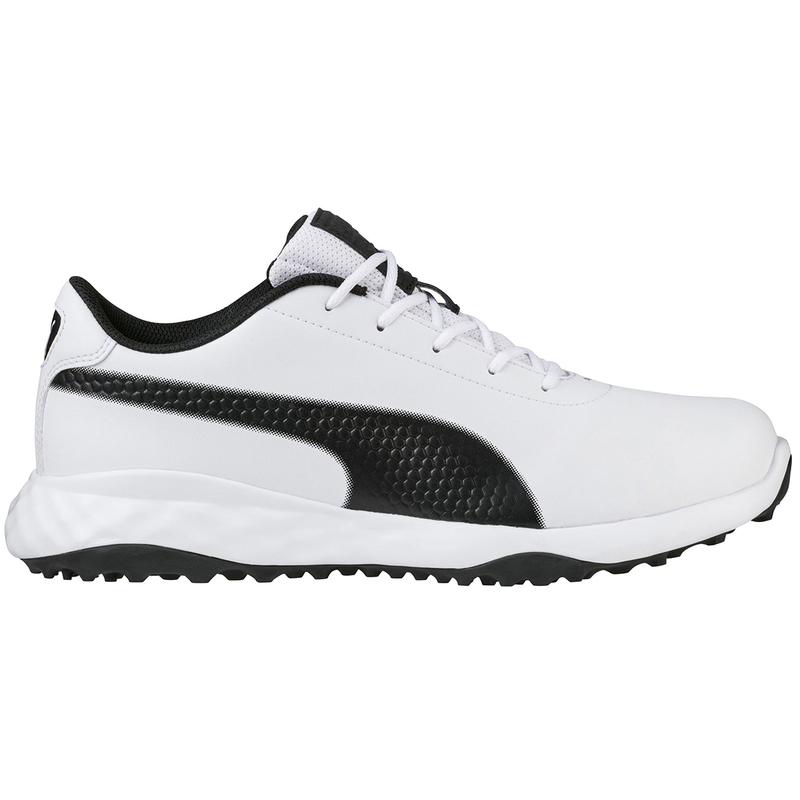 The versatile Grip Fusion golf shoe from PUMA Golf, provides endless comfort and performance, both on and off the golf course. Classically designed to bring you high street style, with a lightweight durable microfibre synthetic leather upper, which comes fully backed with a 12 months waterproof warranty. 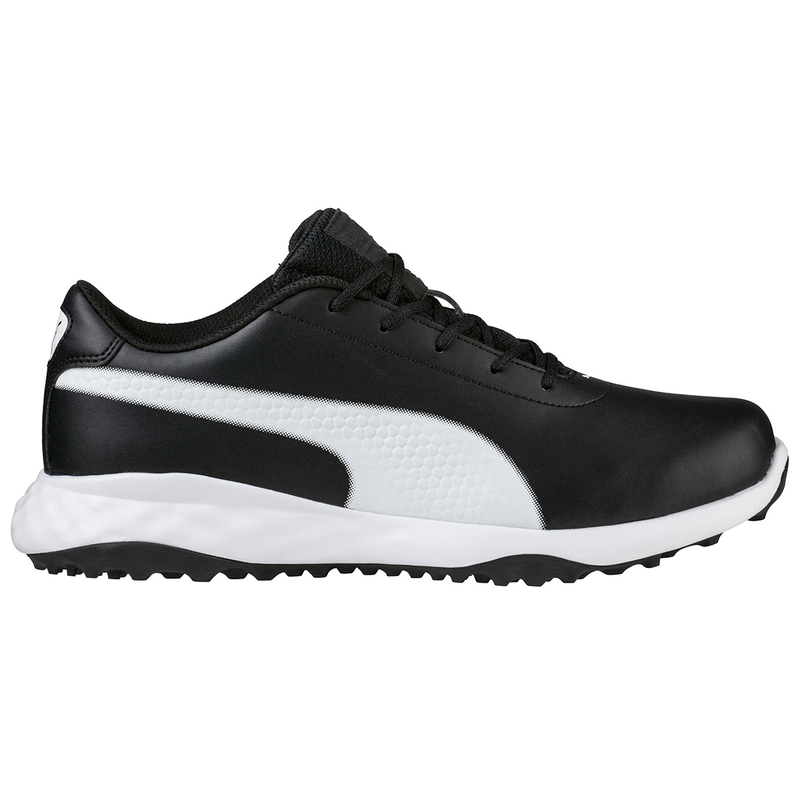 To provide more energy return and stable cushioning the shoes feature Fusion Foam, this provides enhanced comfort. Which is combined with the Soft Foam two layered insole for long lasting durability and comfort.